Mental Health: Mind Matters aims to build greater understanding of the importance of mental health and create a safe space for meaningful conversations about mental illness. Hands-on exhibit experiences bring you closer to facts, feelings and issues surrounding this significant topic. Special Exhibition: February 5 – April 28, 2019 Presented locally by HealthPartners UnityPoint Health. 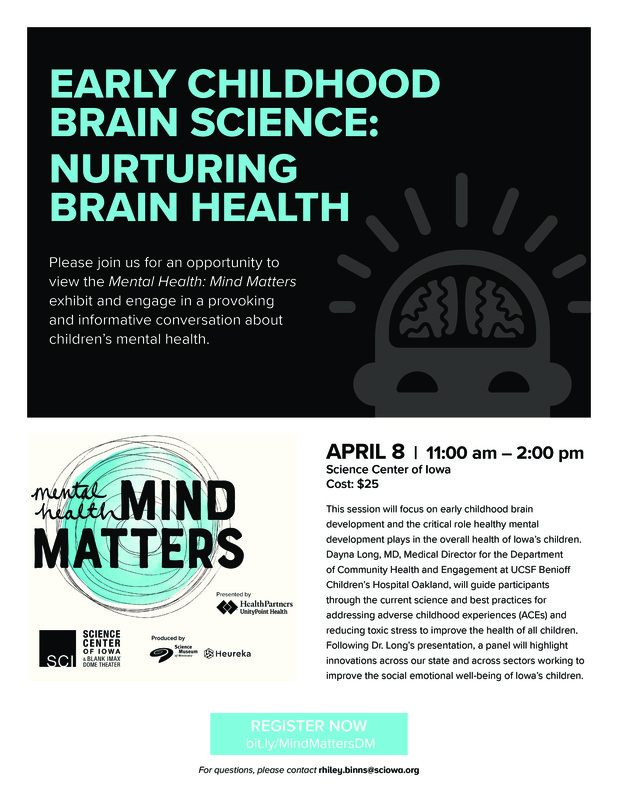 There is a special presentation related to early childhood too on April 8th!